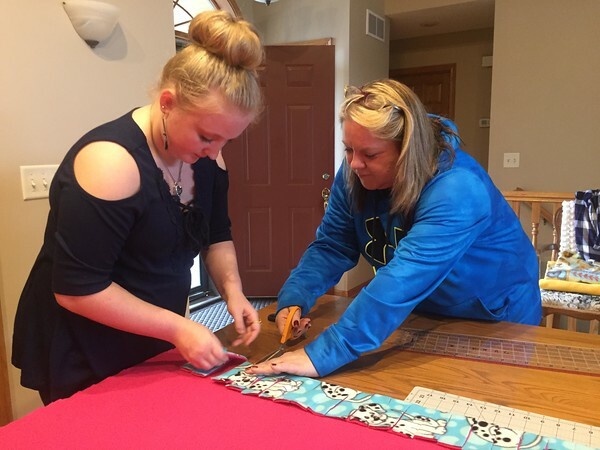 Hailey Sherwood, 16, left, gets help maiking a blanket Sunday, Dec. 4, 2016, from her adoptive mother, April. When Hailey was first brought to April to be forstered as an infant, she was given a blanket. She's kept the blanket ever since, and recently came up with a project to make blankets for children in new foster homes.